Summary: These poems cover many aspects of astronomy and space travel, including the sun, moon, planets, meteors, black holes, eclipses, stars, rockets, astronauts, and Sputnik. 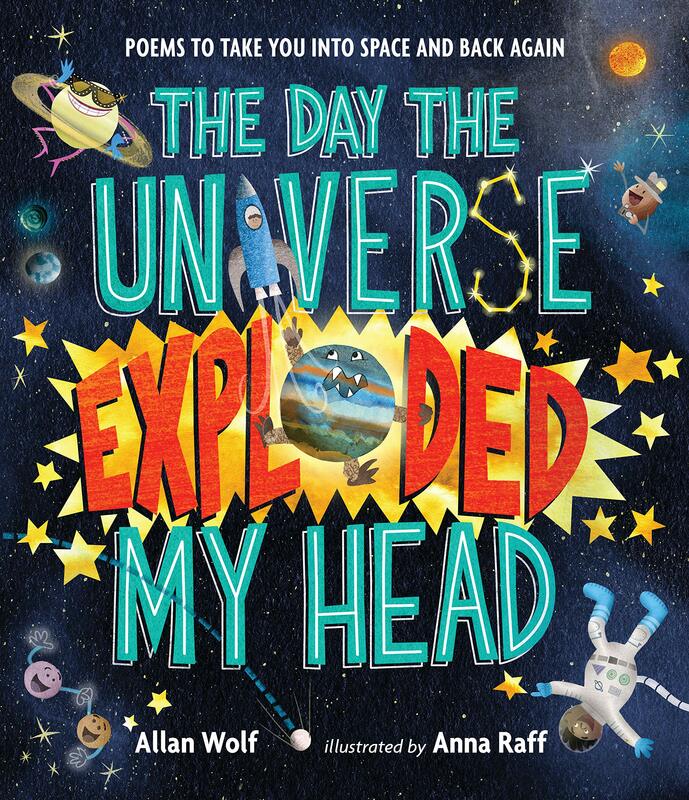 The final piece, “The Day the Universe Exploded My Head” tells readers, “You can learn many facts about space from a book/But nothing’s as real as a firsthand look.” This poem, like several of the others, is written for multiple voices, with different parts shown in different colors. Includes notes on the poems that give more information about each topic; a glossary of selected space terms; and internet resources. 56 pages; grades 2-6. 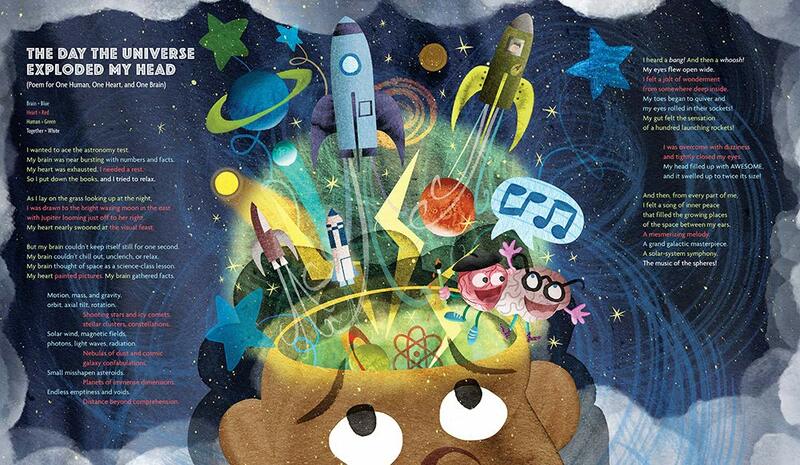 Pros: It’s a fabulous collection of funny and informative poems that will teach kids a lot about space and astronomy. I particularly liked the poems for multiple verses; they would be fun to do as a classroom performance. Cons: It would have been nice to see more information about the different forms of poetry, like the sonnet (or sunnet) that appears on page 1.